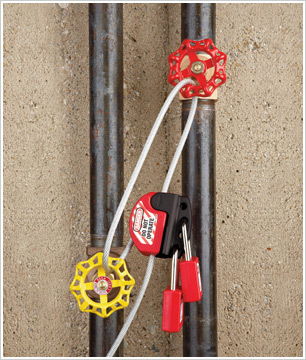 The cable lockout units can be used to secure multiple valves or electrical boxes. 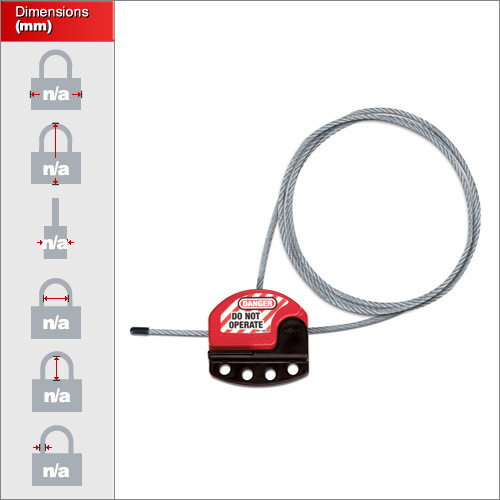 Simply feed the cable end through the points to be locked out, then back through the body and tighten as desired before locking in place with up to four padlocks. As usual, they are made with tough Xenoy thermoplastic, making them resistant to chemicals and effective in extreme temperatures of -57c to 177c. The cable itself is 1.8m long and 4mm thick. For specific instruction on using this product then please see the demo video below or click on the specification sheet link above. Each unit is complete with high-vis, warning labels with an area for custom marking , instruction or identification. Non permanent whiteboard markers can be erased and re-used after the job is complete if necessary. 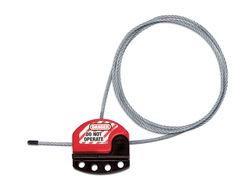 We only have one size of cable lockout but for large orders longer sizes are available from the Masterlock Factory upon special order.